If you have recently checked your e-ticket pricing structure you’ll see this “fee” called “fuel surcharge”. It’s a controversial practice that has broad usage for airlines. In this blog I will give you my take on this practice. I think it is has both negative and positive impacts but on balance is negative (and nefarious). According to IATA, Fuel surcharges now account for 7 percent to 12 percent of total air travel ticket prices. The practice seems to be more commonly practised in Europe rather than elsewhere but here’s the principle of it. A bakery sells you bread – they have a price for the bread and then charge you extra for “flour surcharge”. Sounds ridiculous doesn’t it? After all, a key component in bakery products is flour. So why should airlines be allowed to get away with it? Fuel is a key component of flying an airplane. Thanks for the reply. Why does the “fuel surcharge” vary for revenue and award tickets? I would truly appreciate if you could give a detailed explanation. it is such a topic that is rather “internal ” and I am not empowered to explain in detail as such. Extremely sorry about that. Reading this email it is fairly clear that fuel surcharge is being used by airlines to manipulate prices and impact the money we pay for tickets. An identical ticket purchased with miles and that paid for with cash, has drastically higher “fuel surcharge” included in it. There is no other logic behind it. Fuel surcharge can also be used to facilitate collusion. The most famous case of this involved British Airways. In 2007 British Airways was fined $225 million for price-fixing. The fine was levied by the UK Office of Fair Trading after BA was discovered price-fixing of fuel surcharges on intercontinental lights. In 2006 Virgin Atlantic revealed the events to the competition authorities after it discovered emails between staff at BA and Virgin communicating over fuel surcharge. Virgin Atlantic was granted immunity by both the OFT and the United States Department of Justice under a ‘whistleblower’ statute. The US DOJ later fined British Airways $300 million for price fixing. How did the collusion work? The airlines were coordinating the escalation and reduction on fuel surcharge. 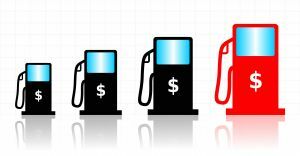 Fuel surcharge rises with oil price rises but less frequently falls as oil prices moderate. Since April 2011, the price of internationally traded oil has increased by 24 per cent, while airline fuel surcharges have risen by 53 per cent on average, according to the study by Carlson Wagonlit Travel. The same study also pointed out that few airlines have decreased their surcharges in recent years in line with oil price moderation. “There is no justification for BA’s latest fuel surcharge increase. BA has hedged 50% of its fuel at well below the market rates, so since BA isn’t paying the current high prices why is it increasing its already high fuel surcharges by £10. Also why is it only raising surcharges on long-haul flights where it has little competition but not on short-haul flights where Ryanair is keeping it honest? The gulf between what BA charges for fuel and what it has paid for fuel is enormous.” Ryanair Spokesman Stephen McNamara. Hi Yusaf, first time I go into your blog, very interesting. On fuel surcharge, you are so right, but it is not only that. When you purchase a ticket now, the price breakdown is often like this: 30-40% ticket price; 10-15% airport taxes; the rest, which can be up to 50% in some cases, it’s not better specified “airline fees”… I wanted to purchase a ticket to the US with miles recently, and it would basically cost me as much as buying the ticket on the website… Ridiculous… Basically miles can maybe be useful for upgrading in inter-continental flights (though not always possible…). NextTemporary halt in Ryanair’s Race to the Bottom: Wizzair and it’s Tent City at Budapest Airport.